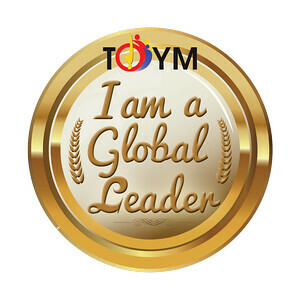 Tagaytay is a favorite tourist destination because of its cool climate. It's a food haven, with its many restaurants, cafes and farms, plus a wonderful view of Taal Volcano. But it still keeps many secrets, some tucked deep in the outskirts of the city. Ultimate Philippines organizes regular food tours to Tagaytay. 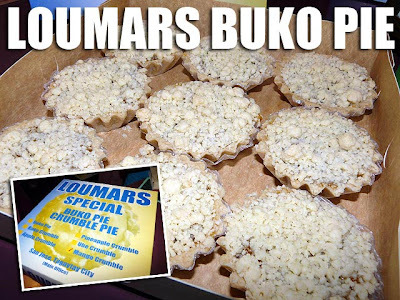 The first stop in the morning is Loumars, best known for their buko pie tarts and mango crumble. And it's best freshly-baked and served hot from the oven. This is our pick for the best buko pie tarts in Tagaytay. 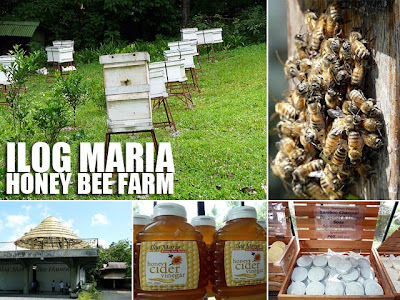 After Loumars, the group proceeded to Ilog Maria Bee Farm in Silang, Cavite, said to be the best bee farm in Luzon with a cult following. And their honey products such as soaps, shampoo, bath gel and the like are the main reason why people come back for more. Sad to say, they no longer have honey for consumption since global warming has taken its toll on the bees. For lunch, we proceeded to Bawai's Vietnamese Kitchen, also in Silang, Cavite to sample authentic Vietnamese cuisine prepared by Bawai herself, a Vietnamese lady married to a local. We got to try out goi cuon (fresh Vietnamese rolls), and chao tom (pounded shrimps on sugar cane skewers) among others. It's open only on weekends and remember that it's strictly reservations if you want to eat at this place. 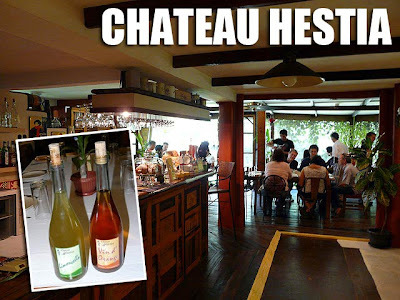 From there, we walked to nearby Chateau Hestia for dessert and to sample their limoncello, the best local wine made in Tagaytay. 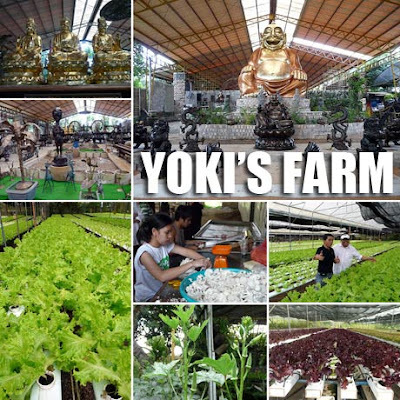 Another afternoon stop was Yoki's Farm. It's quite a drive from Tagaytay. But this hydroponic farm is more popular for its collection of antiques, cultural items and other oddities, literally anything under the sun. Don't forget to take a lucky picture with what looks like the biggest Buddha in the country! Of course, the farm produces a lot of vegetables with the use of hydroponics. If fact, you can also purchase some, fresh from the farm! 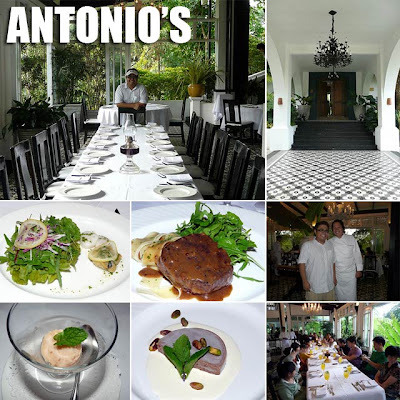 For dinner, we all trooped to Antonio's Fine Dining, arguably the best restaurant in Tagaytay! In fact, it's so good, it's been named one of the Top 10 restaurants in Asia by the Miele Guide! Chef Tony Boy Escalante is also such a gracious host, moving around the restaurant when he can to greet his guests. For dinner, we had Steamed & Nori Wrapped Tempura Scallop, Mesclun Salad w/ Coriander Viaigrette; Beef Fillet on Plancha w/ Black Pepper Sauce, Pappardelle, Toss Baby Arugula w/ Honey Lemon Truffle Vinaigrette with soup and guava sorbet in between; and Felchlin Maracaibo Chocolate Terrine w/ Double Cream & Roasted Pistachio for dessert. Such long names and the sound of it makes it difficult to choose from their large menu. But one thing is certain: the food and ambiance is heavenly perfect! 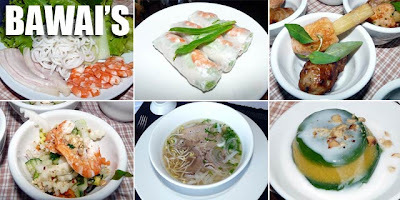 Thanks Ivan for including Bawais Vietnamese Restaurant in your Tagaytay food trip. I'm not quite sure. Maybe by special tricycle trip. can you tell me how to get to yoki's farm? thanks!